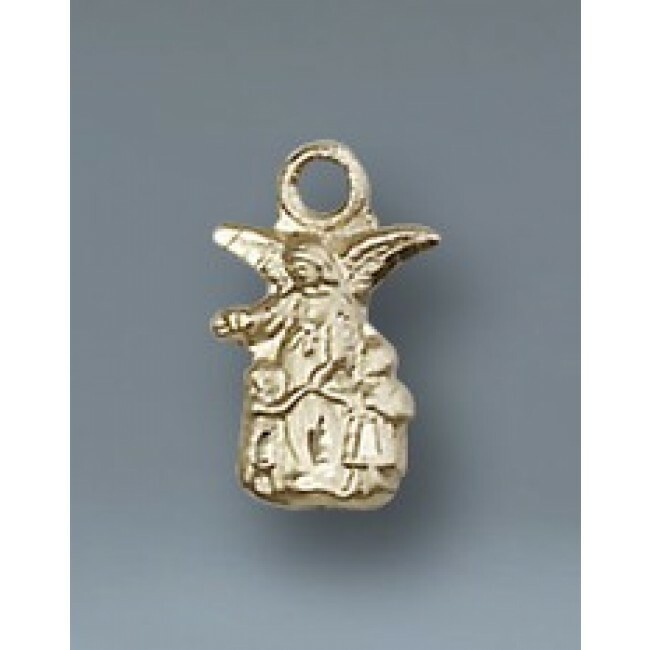 Dainty, beautifully crafted Guardian Angel 14KT gold pendant, small enough 3/16 by 5/16 for a charm bracelet or great gift for your child. Traditional image of Guardian Angel protecting a little girl and boy while crossing the bridge. One of the delightful, reassuring traditions of the Catholic faith teaches that everyone is born with a Guardian Angel who guards and shields us throughout our lives.